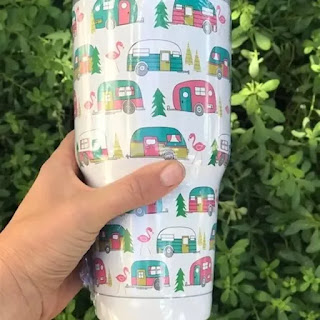 I LOVE these Happy Camper Tumblers for ONLY $16.99 (Retail $49.99)! Happy Camper Tumblers. These tumblers hold 30 ounces. They can keep hot beverages hot for 4+ hours and ice/cold beverages cold for 8+ hours. They are perfect for summer! Come with lid.